When a vehicle is stolen from a dealership, the dealer is left to deal with police reports, profit losses and insurance claims. Not only are these consequences a hassle, they’re also a blow to the bottom line. But what happens if crimes are committed in the stolen vehicle? The dealership risks a lawsuit and a potential costly settlement or judgment — not to mention the reverberating effect on the dealership’s public image. That’s what happened to Fresno My Auto Maxx, which was sued for negligence after the dealership’s lax key security measures allowed a lone thief to repeatedly steal vehicles. While driving a stolen Infiniti, the thief ran a stop sign and slammed into a 55-year-old man’s vehicle, killing him. After the incident, the dealership paid a $950,000 settlement to the victim’s widow. My Auto Maxx’s situation is a perfect example of why your dealership can’t neglect the following key and asset control best practices to limit liability. If your dealership doesn’t enforce key security, you’re vulnerable to key theft. In the case against My Auto Maxx, the widow’s lawyer pointed out that the dealership’s lack of theft prevention was the reason a single thief was able to steal a total of three cars on different occasions. Two of the vehicles were stolen using the vehicles’ keys — one left in the ignition, and the other left unsecure in the sales office — which the thief stole when he pretended to apply for credit approval. Your dealership can reduce the threat of theft and therefore limit liability by implementing strict key control processes. Whether you choose to implement a pegboard, key cabinet or electronic key control system, install your key storage solution in a secure location and keep keys well organized. If you do experience a theft, having your keys well organized in a central location will allow you to notice more quickly when a key goes missing. Your employees are entrusted with vehicle keys on a daily basis, so holding them accountable is crucial for reducing your risk of key loss and theft. The first car stolen by the Fresno thief still had the keys in the ignition, presumably left there after a test drive. This disregard for key security provided an easy opportunity for theft.To prevent mistakes like this from happening, strictly enforce employee accountability within your dealership. You can promote accountability by having employees update a key log so there is a written record of all key transactions. Require employees to check out keys by writing down their name, the time, the date and the key they checked out. If you choose to implement an electronic key control process, these credentials will be recorded automatically. Having a written record of all key activity helps expedite investigations of lost keys by allowing managers to quickly identify and speak to the employee who last checked out the key to get more information. Another factor contributing to the Fresno dealership’s alleged negligence was the fact that despite knowing the Infiniti had been stolen, the dealership took four days to report the missing vehicle. 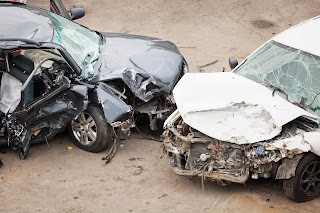 Since the thief was driving the stolen car at the time of the fatal accident, the dealership found itself involved in a litigation nightmare. This case demonstrates why it’s important for your dealership to not only account for its keys but also have a daily process for tracking inventory. This process could entail walking the lot scanning barcodes on each vehicle or simply updating a spreadsheet when each vehicle’s location is verified. There is also GPS-based lot management technology that displays the location of cars on the lot and triggers an email or text alert if a vehicle is off the lot after business hours. The moment a vehicle goes missing, you should be able to rely on your key logs to identify the employee who last had the keys, request information about the vehicle’s location and, if necessary, promptly report a theft. When you don’t implement security measures that help prevent theft, you're putting your inventory, business and community at risk.